At what stage in your career did you first find a mentor? At a crucial moment, when I moved continents for work. I applied to the EAGE mentoring programme after moving from Colombia to England with just five years of work experience. I can proudly say I have a fantastic mentor; she is not just an excellent senior professional in the same area in which I work, with plenty of experience; she is a really good person, with a sense of humour and is very committed to social causes. Paola Tello Guerrero was born and educated in Colombia and is a physicist at ALS Petrophysics in Guildford, UK. 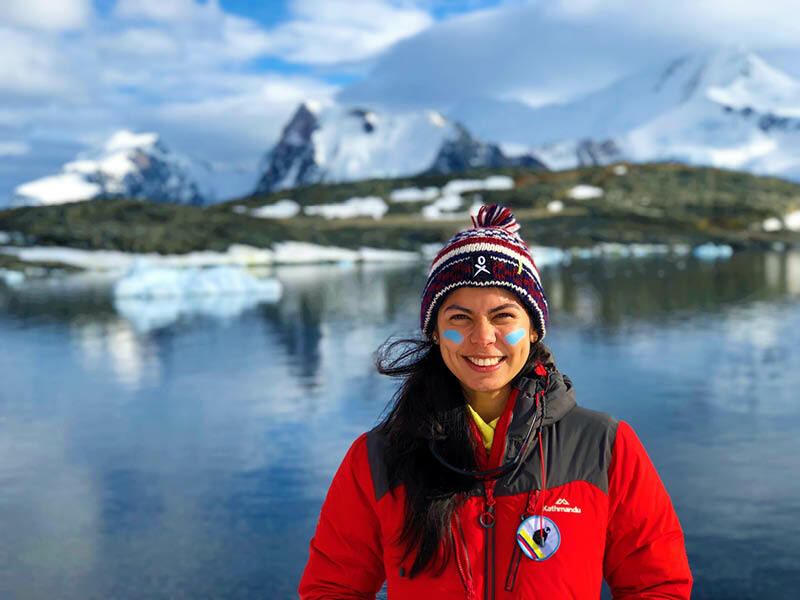 She participated in Homeward Bound 2018, an all-female-scientist Antarctic expedition, and is part of a global initiative of women working for climate action. She founded ‘Antarctica for the Brave’, an educational project for children that combines climate change and equality. What does your mentor do for you? Listen and guide. She has a bigger picture of the issues I present to her and guides my ideas to progress when I feel I cannot. She also joins me in celebrating my professional victories. What do you think is the best way to find a mentor? Firstly, have clarity: understand both where you are and where you want to be. If you don’t have a clear landscape, then write down the options that you know you don’t want, so at least you will know where you don’t want to end up. Secondly, decide on the profile of your mentor. Ideally you want somebody working in the same area of work but at a higher level. You can also choose your hero – the professional you want to be in a few years. Finally, research your prospective mentor before contacting them. There are many mentoring programmes where the organisers do the profile matching for you, otherwise you will need to choose someone yourself. Try to understand how to introduce and create the link with your mentor. It always helps to think what you can bring to your mentor, because this is not a one-way relationship and there should be benefit to both sides. What is the most import aspect of being mentored? It is neutral input – they are not your family, your colleagues, or your friends. It is a special relationship because they want the best for you, but they don’t get involved. It helps to have clear communication, and lot of honesty and clarity. You can have more than one mentor, it all depends on your projects and your dreams. What do you think mentors get out of the experience? This can be an intergenerational and sometimes multicultural experience, and we all know that these things make us grow as a person. I hope my mentor understands a little bit more about Latin culture, has revived her interest in climate change and enjoys grappling with my ideas and challenges. Kindness: most of the time the mentee is full of doubts and mentoring can be either a good or bad experience, depending on whether the mentor is able to get the best out of the mentee. When do you expect to take on the role yourself? I am already mentoring a younger professional, and that’s the value of a mentoring programme – it multiplies. You support one person and that person will support somebody else. Mentoring means reviving your earlier career steps while helping others to be more effective. Some recommended GEO ExPro reading on topics related to, or similar in content to, this article. Dr. Scott Tinker travels the world extensively, speaking on his favorite subjects; global energy, the environment, the economy and education. Now, he is making a feature length documentary on global energy with the working title “The Bridge” and was kind enough to give us a sneak preview. Royal Holloway, University of London recently celebrated 30 years of their MSc course in Petroleum Geoscience. To mark the occasion, they hosted a 30 year Celebratory Symposium with speakers comprising alumni as well as past and present staff members.